Has everyone seen this commercial? That camel is so funny. Are camels usually mangy looking like that? Oh gosh his knees. HaHaHa Sorry, never saw one close up. I don't even remember seeing any at our local zoo. Oh well, I'm giving away $25 PayPal Cash. See the Rafflecopter widget below! A winner will be announced Friday! Good Luck! 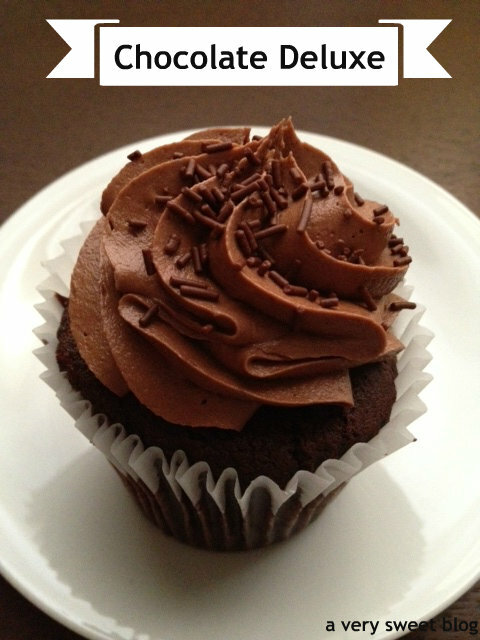 You guys know I love my cupcakes, candy & chocolate! 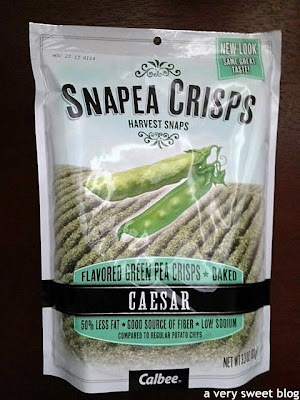 Well I recently received an email, asking if I would be interested in a 6-pack sample of Harvest Snaps. 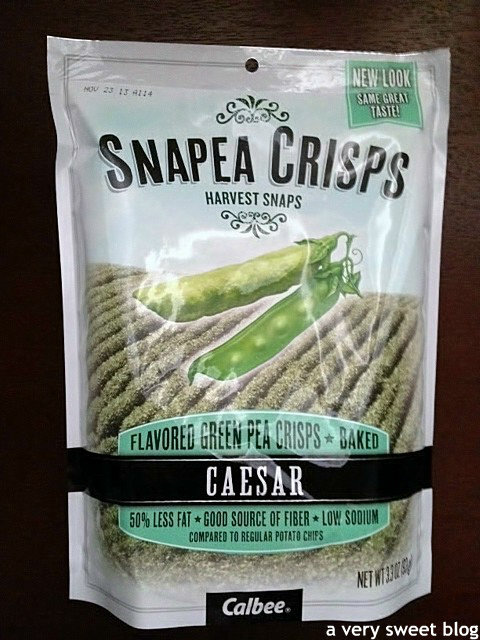 Harvest Snaps? What's a Harvest Snap? I stared at the email for a minute and continued to read. 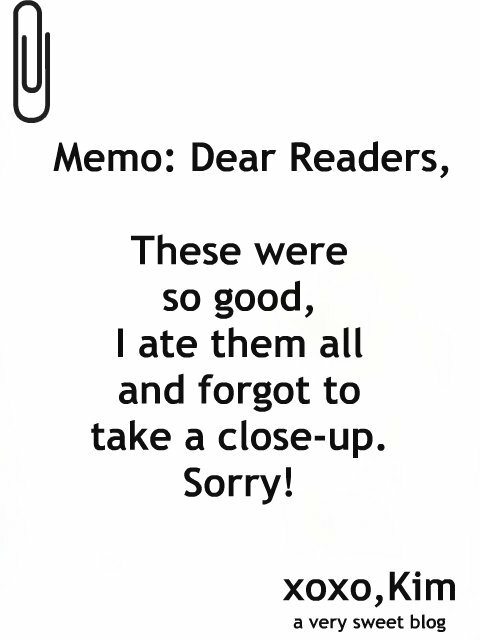 It went on to say it was a "good-for-you-snack"! To me, that meant HEALTHY. 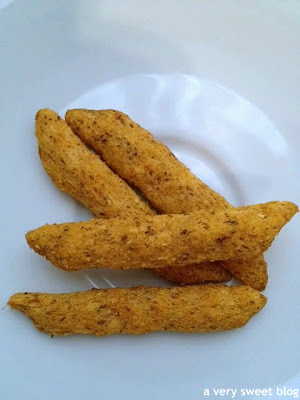 I've had healthy snacks before <side eye> ! 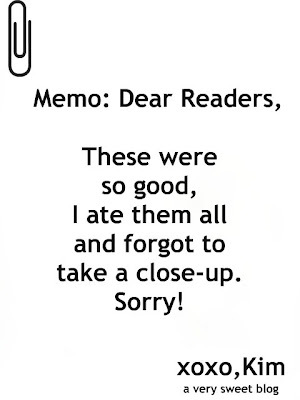 It also stated, "move over potato chips!" 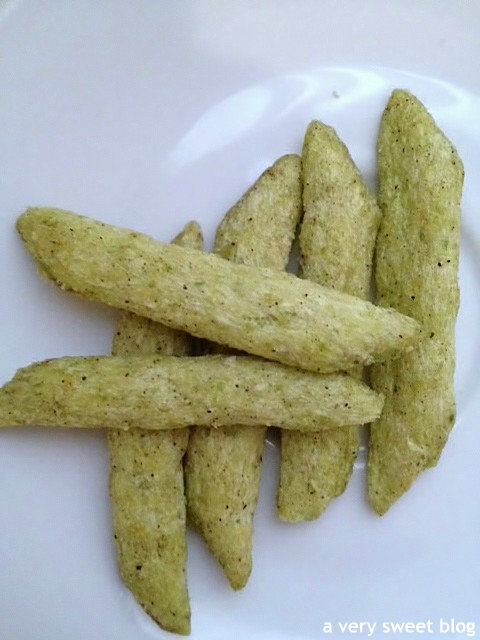 A healthy snack that's better than potato chips? I raised my eyebrow! Then the clincher was, "Now you can indulge in guilt-free snacking!" So they want me to try a healthy snack, that's better than potato chips, but looks like a pea pod. I thought about it and said to myself, NEVER JUDGE A SNACK BY IT'S COVER. Send them to me! I received them. They are SO GOOD! I'm still in shock! 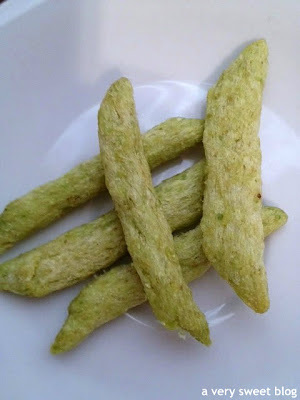 They're shaped like pea pods, but they don't taste like peas at all! 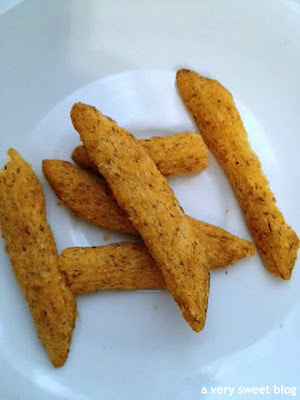 They have a potato taste (to me)! Let me rate the different flavors for you. You guys know my scale. 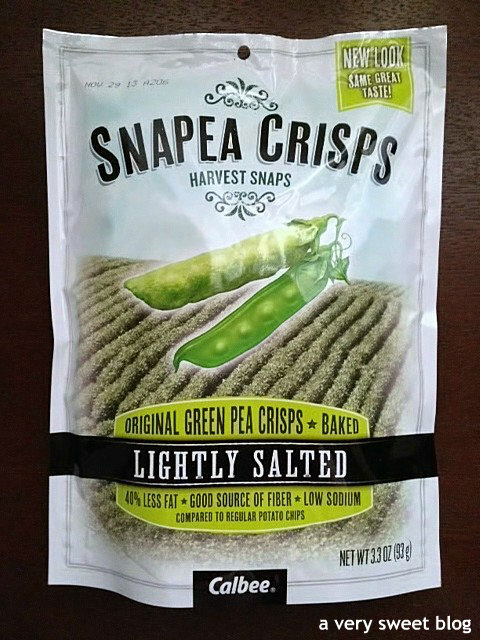 I received FOUR bags of Snapea Crisps! This was my favorite flavor! It has a wonderful Caesar taste. Crisp. Fresh. Light. 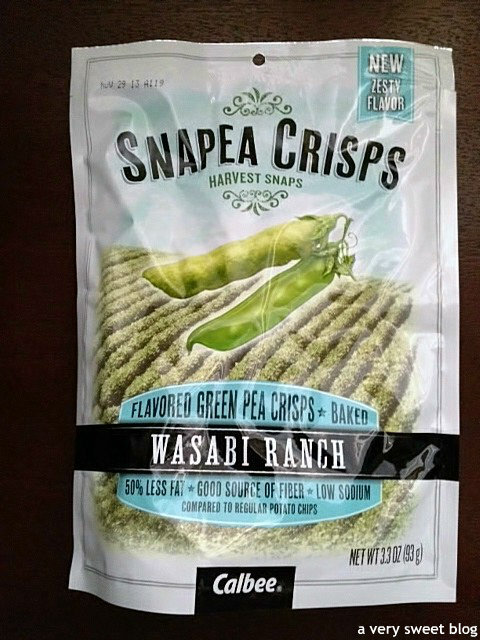 The potato chips I like have 150mg of sodium / 150 calories (12 chips) and this snack has 65mg of sodium / 120 calories for (22 pieces). *The nutrition for each flavor varies. Check Harvest Snaps Website! This flavor is for the person that likes barely there or no flavor snacks! They taste really good. Super Light. Crisp. Just a smidgen of salt! A very fresh taste. This flavor has lots of kick! They're zesty! I taste ranch. I definitely taste wasabi. It's not my personal favorite flavor preference, but they don't taste bad at all. It depends on a person's palette. They have zing! 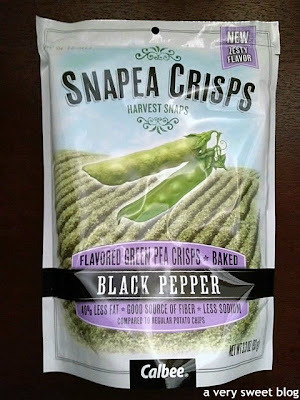 These have a black pepper taste. It's not my preference taste wise. The black pepper taste lingers after you've eaten it. 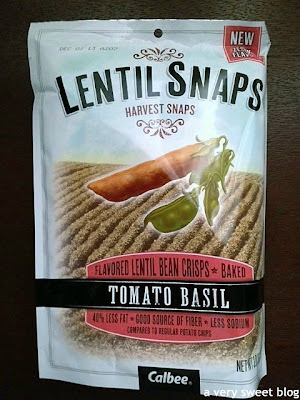 I received TWO bags of Lentil Snaps! Lentil Snaps are HEARTIER than the Snapea Crisps above. They have a little more crunch, but it's definitely not a bad thing. 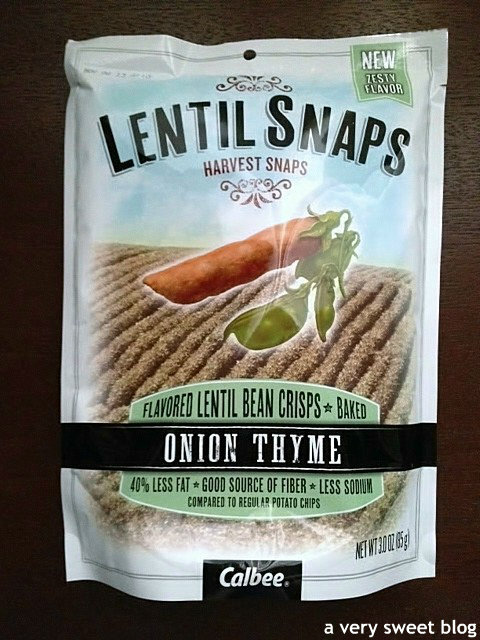 This particular flavor has a great onion & thyme taste. It's very good. It has a very light tomato & basil taste. I really liked it. Harvest snaps are baked, not fried! Snapea Crisps are made from naturally dried peas, which make up 70% of the product. 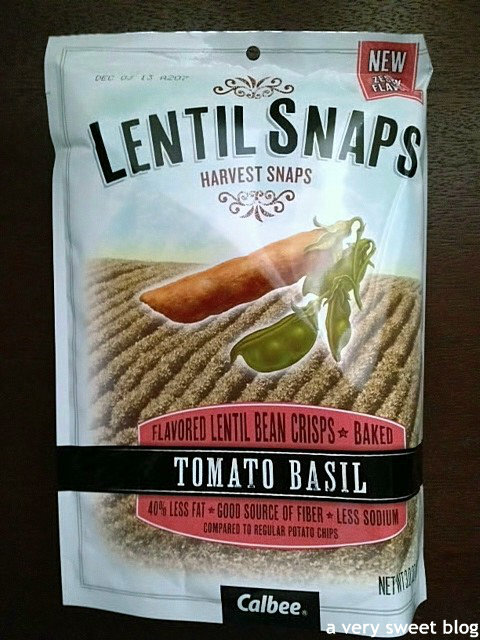 Lentil Snaps are made from 65% lentils and contain 5g of protein and 13% of your daily fiber. They're really good and I would encourage you to try them. They REALLY impressed me. 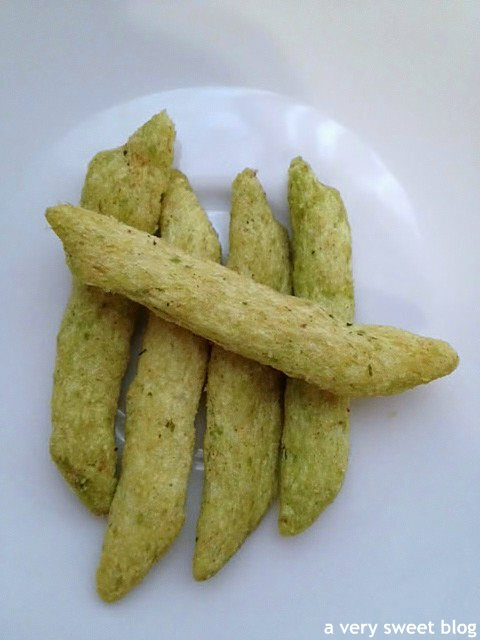 Here's to HEALTHY SNACKING! Here's where you can find them! If you do try them, share your comments on this post. I would love to hear your thoughts. 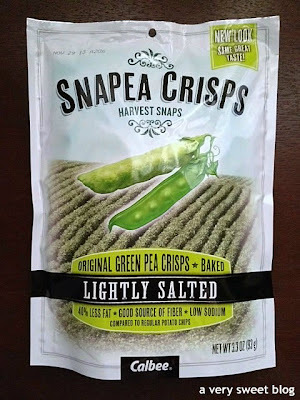 The only thing I would suggest to Harvest Snaps is to make the bags resealable. I can't eat an entire bag in one sitting and so I put what was left in Ziploc bags to retain freshness. 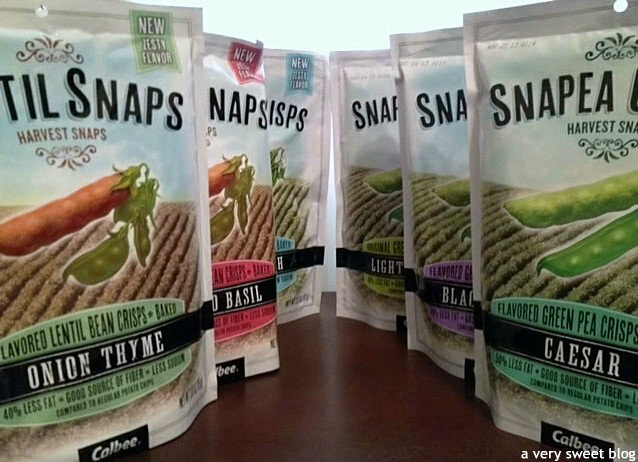 This is a product review for Harvest Snaps. I was given SIX bags to review. 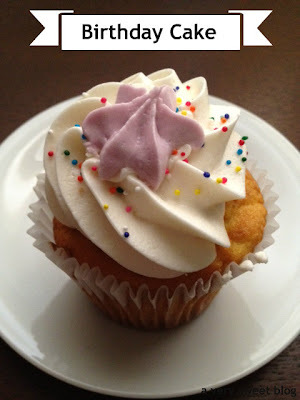 I had a taste for cake last Monday, however the bakery I usually purchase sweets from was C-L-O-S-E-D! Waaaaagh! I didn't feel like baking a cake, so I pulled myself together and went to Plan B. The lesson for today is, always have a Plan B :) If I couldn't have cake (in my best Marie Antoinette voice), then I was going to have CUPCAKES! 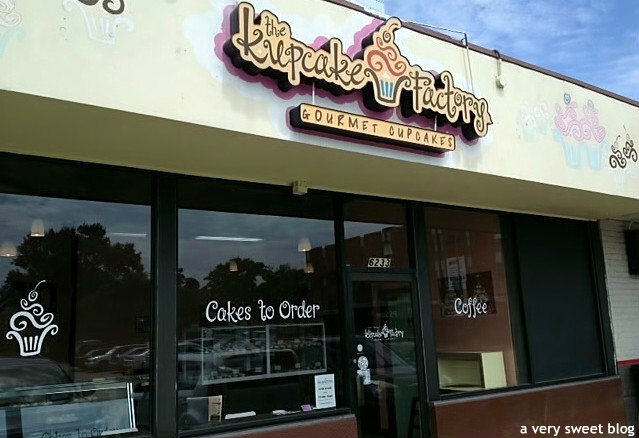 So I drove to this cute little place called The Kupcake Factory (Uptown location). They're locally owned with 4 locations and their specialty is gourmet cupcakes (specialty cakes upon order). I couldn't believe, I hadn't been here before. I flung the door open to the shop and my eyes began to do a happy dance, because this is what I saw! 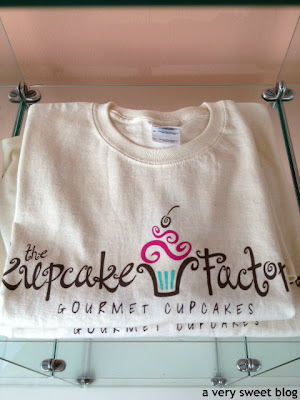 The Kupcake Factory is Sweet! Don't you just want EVERYTHING? I picked up a dozen assorted (don't worry, I had plenty of help eating them) and was going to rate each cupcake individually, but there was no need. 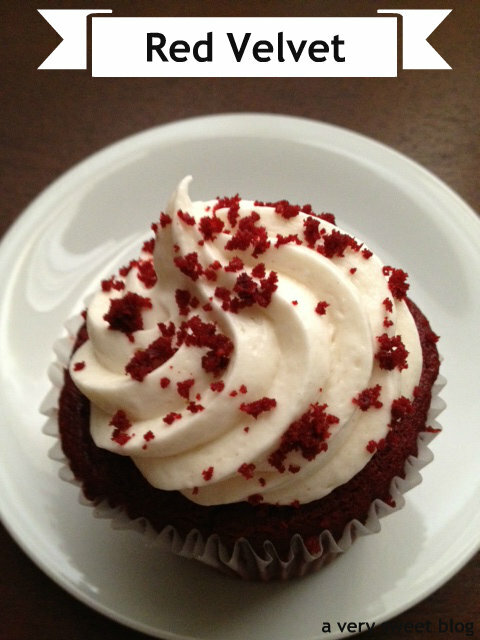 ALL of the cupcakes were scrumptious! Each cupcake is HUGE! They're like 2 cupcakes in 1! Cut 1 cupcake in 4's and 2 people can eat it. 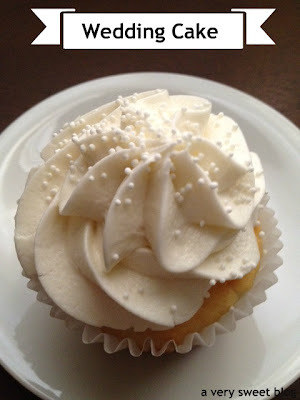 The cupcakes were moist, fresh and topped with just the right amount of frosting. Every cupcake tasted exactly how it was described. Eat a wedding cake cupcake, it tastes like wedding cake. 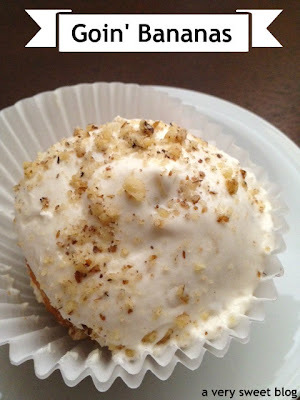 Eat a goin' bananas cupcake, it tastes like bananas. Eat a snozzberry...Ooops! No snozzberries...That's Willy Wonka & The Chocolate Factory >.< but they do have raspberries! I want to give a sweet shout out to the young lady that worked that day. It was my first time there and she explained all the flavors, hours & pricing. She was awesome. She knew her products! Also, thank you management for being OPEN on a Monday! You satisfied my sweet craving. 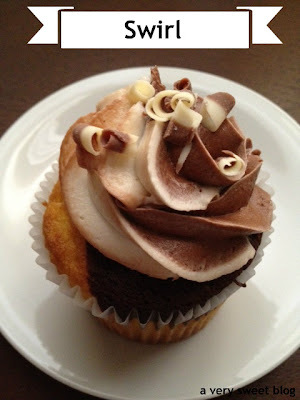 For my readers & friends, here's a closer look at the cupcakes I purchased :) Happy Cupcake, I mean Monday! Clout means you have influence or pull. I know you do! All bloggers do! That's why I want you to join KLOUT! There's nothing in it for me. Just trying to inform bloggers. If you're not a blogger, you can still join Klout. It's as easy as 1-2-3! #1- Klout tells you how influential you are, based on your SOCIAL MEDIA influence. If you're on blogger, wordpress, twitter, facebook, instagram, google+, linkedin, foursquare, youtube, tumblr, etc. SIGN UP FOR KLOUT and LINK however many of YOUR SOCIAL MEDIA ACCOUNTS to YOUR KLOUT ACCOUNT. #2- Once you sign up and link your social media accounts, KLOUT will give YOU, YOUR BUSINESS or YOUR BLOG a number from 1 - 100. The higher the number, the more influential you are. That number can fluctuate over time. Currently Chanel is an 89, I'm a 60 and Ulta Beauty is an 81. #3- While you're logged onto KLOUT, also sign up for Klout PERKS! Brands look for people and blogs with high influential scores and give them PERKS. We know it as FREE STUFF! I'm so excited. 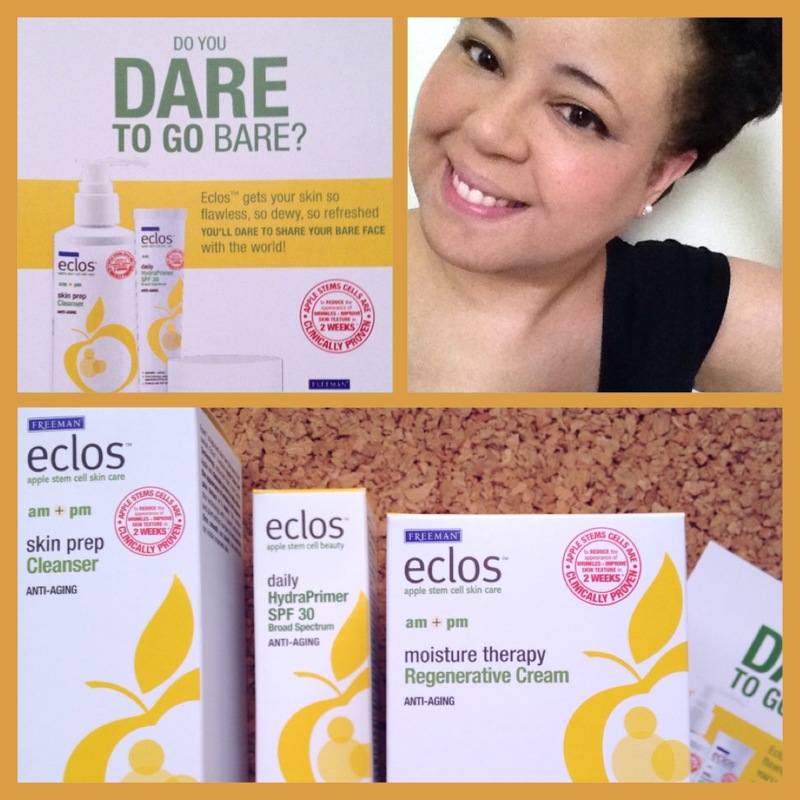 I received a PERK from Freeman Beauty/ECLOS! I just received their skin care system to test out for two weeks. I'll do a full review for you guys in 14 days (August 8th or 9th)! AND guess what? I also received a PERK for free movie passes. BE QUICK when you're offered a perk! They go FAST! So see! Having KLOUT does have PERKS! 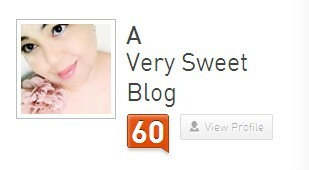 :) Have you tried Klout? Have you received perks? Today, we have a guest post from Chic N Cheap Living blog. 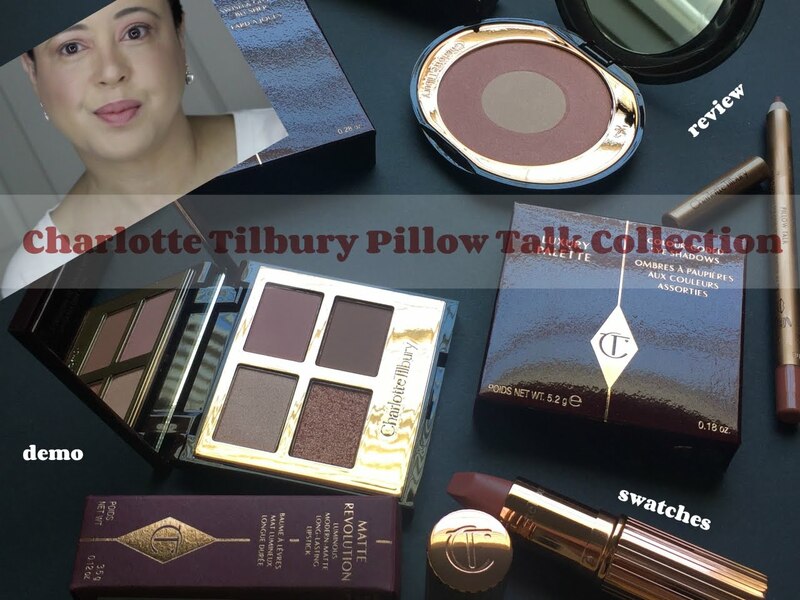 I love this blog, because it offers compatible & impressive alternatives to pricey products in both beauty & fashion. It's also a great source for sales & rebates to some high end & popular stores. Subscribe to her blog today. It's a WIN for your wallet & money. Céline seems to be turning out one IT bag after another. It seems like every famous blogger and fashionista has some type of Céline purse. I definitely started looking at the mini shopper and box bags a bit more after seeing them on quite a few arms. But, with every famous bag comes an inspired bag at a more down to earth price. I'm all about paying for artisan made goods made with high quality materials. However, a similar bag that can be used for everyday purposes can be quite tempting as well though. The beautiful flamingo pink color of the Celine bag makes it a little bit of an unfair comparison, but I wanted to highlight the color possibilities of this bag (black and gray is also available at select resellers). Would you be savvy or splurge on the Céline Trapeze bag? Something a little different today. Let's talk pregnancy! I have a question. 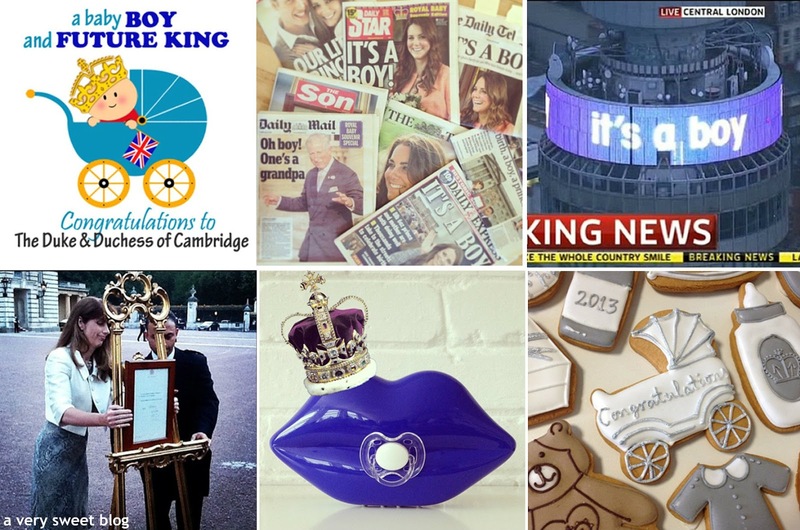 As I was following the birth of the royal baby this week, there was discussion (on CNN) regarding the differences in maternity care & the birthing process in the UK vs US. I found the differences to be interesting and wanted to ask my readers (US, UK, Asia, Australia, Italy, Germany, Russia etc.) if YOU like the system in place (as it relates to pregnancy, maternity care etc) in YOUR country? -Click HERE for everything about UK pregnancy and baby care. -You have a choice to deliver in hospital, at home or birth centre/midwifery unit. -Emphasis is on "natural" birth, instead of a c-section. -Epidurals are not commonly used in the UK; patients are giving laughing gas and birthing tubs. -Uncomplicated births are overseen by midwives and NOT a doctor. -High risk pregnancies are overseen by doctors. -Mothers go home anywhere from 6 - 24 hours after giving birth. -A midwife checks on you 24 hours after you get home with the baby. A nurse (health visitor) checks on you 10 days after you get home. They're also trained to detect post-postpartum depression. -Mothers get 52 weeks off from their job! 36 of which are paid! Dads get 2 weeks paternity leave! -The majority of deliveries occur in a hospital setting. -The c-section rate in the US is 3x higher than the UK. There is a lower "natural" birth rate in the US. -Doctors (ob/gyns) oversee the 9 month pregnancy from beginning to end, nurses (RNs) help the doctor, anesthesiologists administer the epidural, midwives (not as popular). Pediatricians oversee the care of the infant. -Mothers usually go home anywhere from 24 - 72 hours after giving birth. -Mothers must bring their new babies to a series of pediatric medical appointments. New mothers are evaluated for postpartum depression 6 weeks after giving birth and none thereafter. 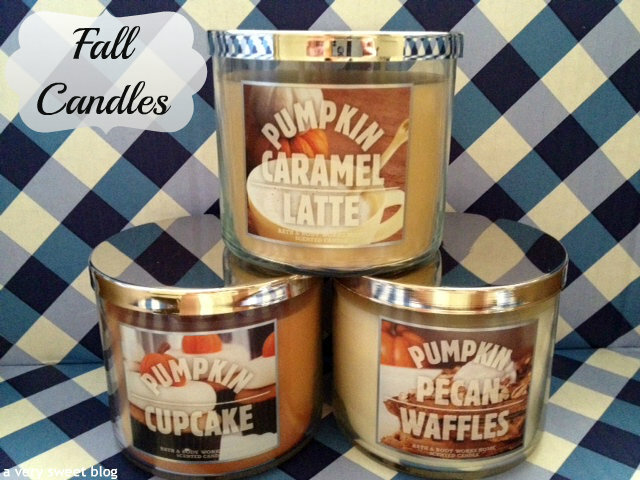 What really made me happy, was the introduction of their new Autumn candle collection. Have you seen them? I wanted all the scents. I didn't have a single candle left in my home, so this was a great opportunity to stock up. I also purchased a couple of their new shower smoothies. Here's a quick review of what I purchased. 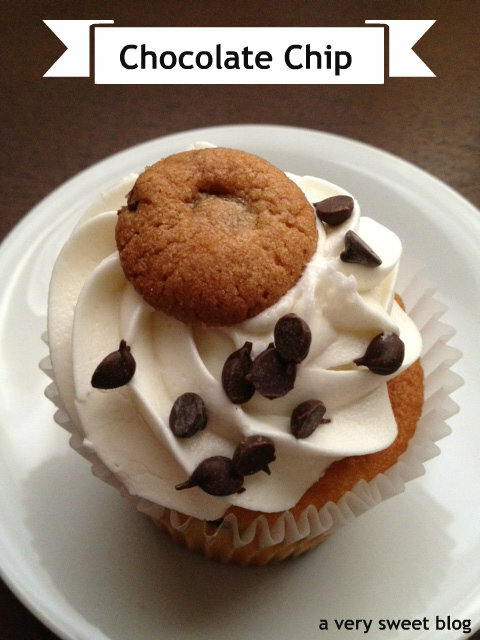 Pumpkin Caramel Latte - Supersweet - Think rich buttery caramel with a hint of latte & pumpkin. If you're a caramel fan, you're going to love this candle. I do. 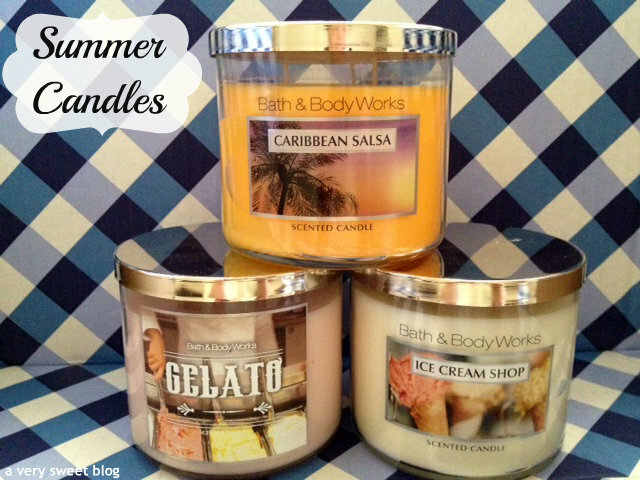 Gelato - Supersweet - This candle is a mix of everything sweet! Think cotton candy, taffy, and place yourself in a confectionery sweet shop. That's the scent of this candle! Caribbean Salsa - Sweet - If you're a fan of orange scents, this candle is for you. The scent is orange, mango tango, tangerine and add to it a tropical breeze. Very unique scent! Pineapple Papaya - Sweet - This shower smoothie body wash is thick & yellow in color. It has micro beads for exfoliation. It also has an authentic pineapple & papaya scent that smells so good. The scent lingers even after your bath or shower! It lathers well. Your skin feels soft afterwards. Strawberry Banana - Sweet - This shower smoothie body wash is thick & pink in color. It has micro beads for exfoliation. It has an authentic strawberry scent with a hint of banana. 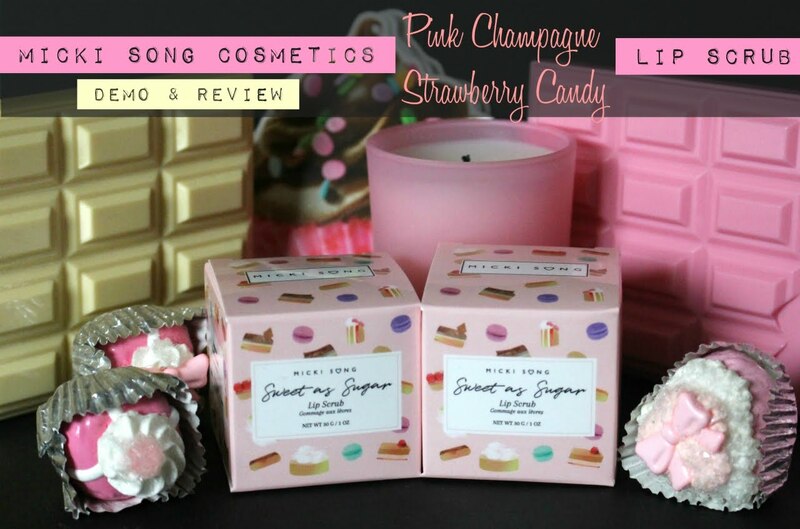 It's VERY strawberry, lathers well and your skin feels soft afterwards! 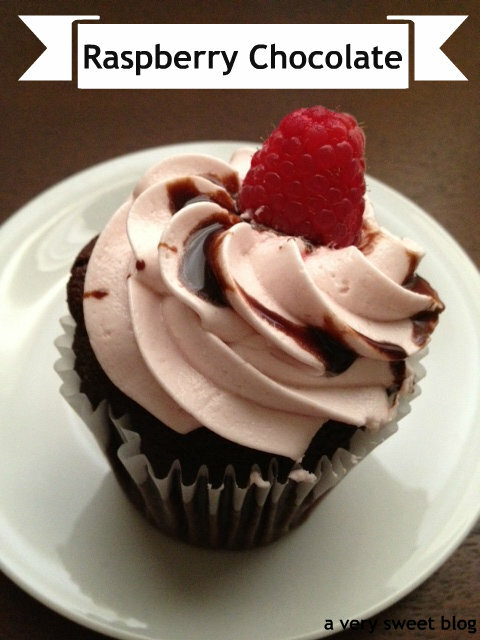 A treat for your skin. 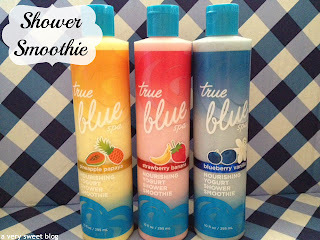 Blueberry Vanilla - Bittersweet - This shower smoothie body is thick & blue in color. It has microbeads for exfoliation. This has a light blueberry scent. Not much vanilla. It's ok, but nothing to brag about. It lathers well and your skin feels soft afterwards. Hope these reviews helped! Check out Bath and Body's NEW Autumn candle line! This is NOT a sponsored post. 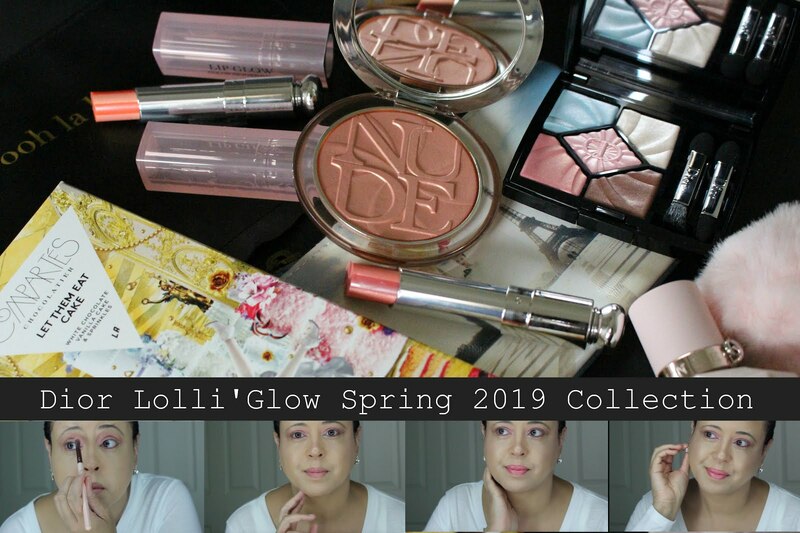 I purchased all products with my money. Can I pour you a cup of coffee? Slice of banana nut bread? Croissant? We're celebrating today. Why? 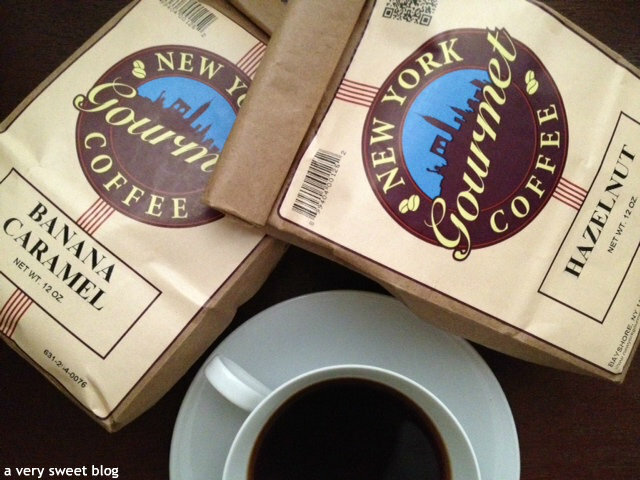 I won two bags of gourmet coffee from New York Gourmet Coffee in a giveaway hosted by Rosemary of NYC Style and A Little Cannoli. 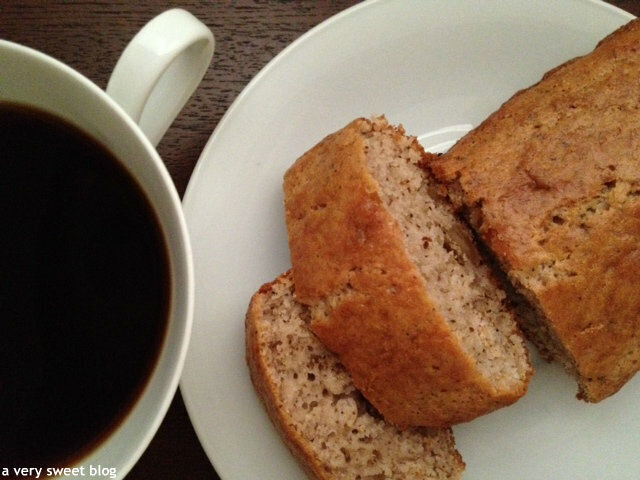 This coffee is so yummy delicious, it had me baking banana nut bread this weekend! Ok, not from scratch! HaHaHa Both flavors I received were awesome and I couldn't wait to tell you about them today. 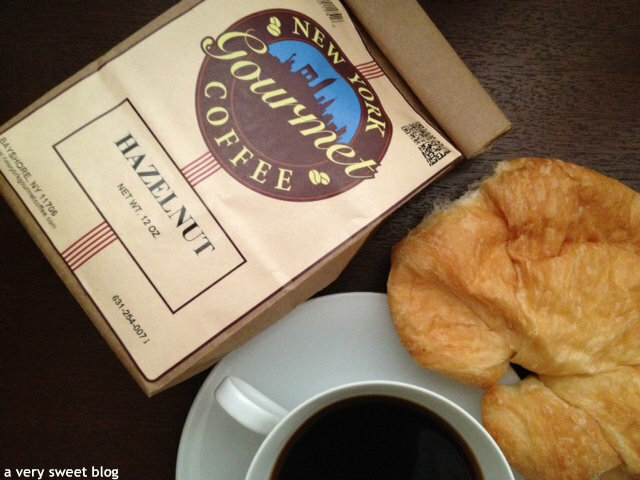 What I like about New York Gourmet Coffee is that they carry UNIQUE coffee flavors, along with standard favorites. Apple Strudel Coffee, Banana Pecan Coffee, Chocolate Cappuccino Coffee, Chocolate Caramel Coffee, Hawaiian Hazelnut Coffee, and Sugar Cookie Coffee are just a few selections waiting to be percolated & poured into your favorite coffee mug. 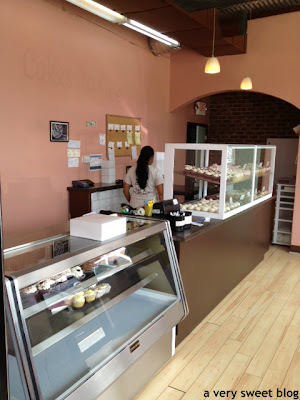 Click HERE to see the extensive list of coffees they sell. The choices you have to choose from are truly amazing! Do these flavors have your mouth percolating yet? There were several things that impressed me about them! They sell freshly ground and roasted coffee for $7.79 - $9.99 a bag, in an assortment of flavors. They grind the coffee for you according to your preference (whole bean, extra coarse, coarse, medium, medium fine, fine, extra fine). They ship UPS Ground with tracking, FedEx and USPS Priority Mail are other options! The coffee is boxed and packed very well! Thanks Java Joshua (he signed the invoice & wrote a nice note to me)! And oh, how awesome did the coffee grinds smell when I opened the box. Order a bag. You're going to love it. The coffee is very smooth! 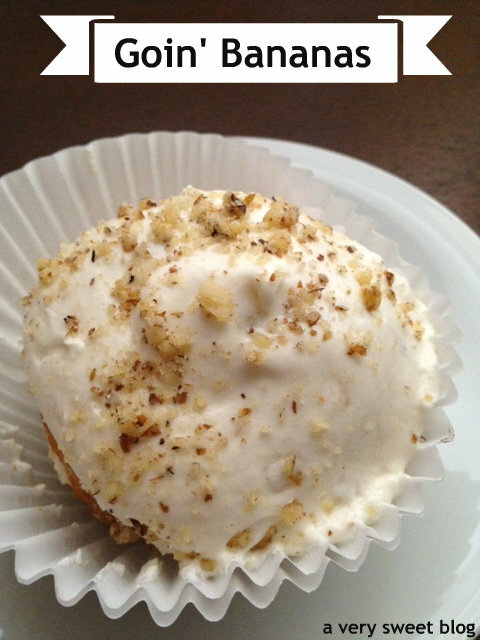 Special thanks to Rosemary of NYC Style and A Little Cannoli for introducing me to a great company! I'll be sending this coffee to family & friends. 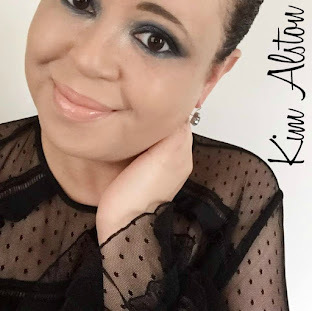 Add her blog to your reading list! You're going to thank me! Her blog talks about everything that encompasses New York City...Bakeries, Restaurants, Boutiques, Museums, Fashion, Galleries etc. You don't know New York until you've read this informative blog. Add it. Whatcha waiting for? Have A Great Day! 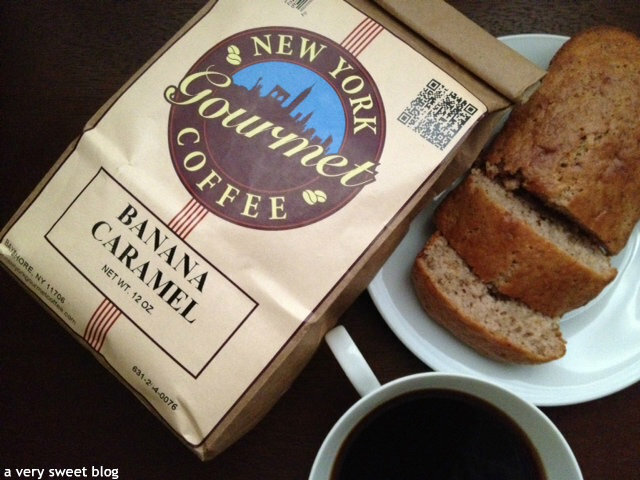 New York Gourmet Coffee is SUPERSWEET! *This is not a sponsored post. I won two bags of gourmet coffee, tried and really loved it. *They can ship to virtually any address in the world. Note that there are restrictions on some products, and some products cannot be shipped to international destinations.